Among bulking, cutting or resistance training, strength workout gain priority due to the way it benefits your body. Being strong is always good. It not only help you with carrying simply day by day tasks but also have a great impact on burning and building new muscle mass. 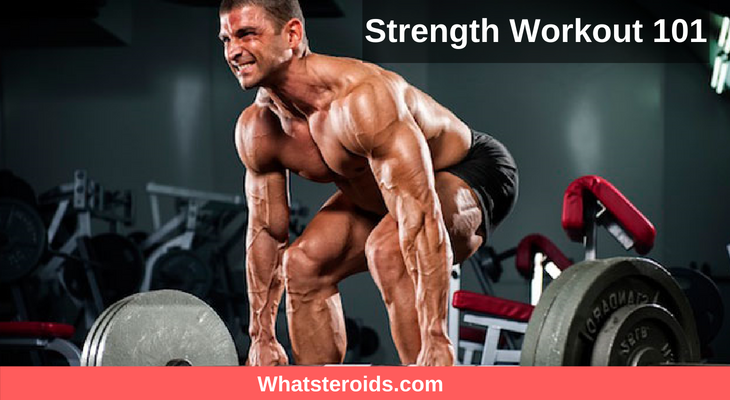 Strength workout helps you to get rid of fat and increase muscle mass. The same can not be said about weight loss exercises or training that target muscle growth. Aside from making your life easier, strength training has many other good effects on your body that you have to know. Stops sarcopenia. Once we age, we begin to lose skeletal muscle. Lifting weights have proved to cease this process, helping to stay independent and out of a need for others to assist you on daily life. Helps to lose weight fast. The main fear of those who want to get rid of extra fat is that along with fat they are losing muscle mass too. Well, strength training is perfect for this purpose. Lifting weights being on a calorie deficit leads to melting away fat deposits and keeping on the muscle mass you already have. In happy cases, you can even manage to add some pounds of muscle fiber. Weightlifting increases metabolism by improving Resting Metabolic Rate (RMR). In order to keep on muscle, the mass body has to treat more energy than in the case of fat deposits. So, if you want to lose more fat, a good way to do it is to lift more. Makes you Feel Better. Lifting weights will energize you, make you feel more confident, less stressed. Strength training is known to improve cognitive function, helping you to learn and think better and faster. Overall mood improved and you feel able to turn mountains. This is a sparkle of the feelings you get after weeks of strength training. It perfects when no gyms near to you or you are limited in time. Free weights exercises can be performed anywhere, at any time and are much easier to stick with them. Traveling, vacations are no reasons to stop your training. All you need is a pair of dumbbells or barbells. A variety of exercises can be done using these tools and all of them are very productive. However, if you can get a gym membership then you get quite more possibilities to challenge your body using a number of free weights equipment like military press, bench press, squat racks, flat bench and others. Before stepping into the gym, have a plan of what you have to do. No progress will be achieved if the move from one machine to another without exactly knowing why you have to do it. Choose a workout program. This can be three times a week training sessions targeting the biggest muscles groups or something more specific. As we said, the most important is to have it. The number of sets and reps is very important for what you want to achieve. The more reps you do, the higher bulking effect is achieved. For strength purpose, 2-5 reps for each set is enough. You can find dozens of strength exercise program over the internet, but not all of them fit you. Choose the one closer to your fitness level, goals and that one that you will be able to follow. It may claim great results in short time, but if that workout program requires you to be in the gym 4 times a week in the gym when your job doesn’t allow for it, then it surely not for you. Learn the Right Exercise Technique. It’s counterproductive and very risky to perform exercises in the wrong way. That’s why take a coach to assist you during the first training session and to guide to proper technique. Be a slow learner that will get in the final lesson learned. Relearn is much harder and discouraging than you even imagine. You should know already that muscles are not made in the gym but in the kitchen. During weight lifting, muscle fibers breakdown is ensured. When healing fibers twice their volume and get bigger. In the case of strength training, no less than 24 hours between training sessions is needed for recovery. Also, pay attention to the worked muscles. Don’t train the same muscle during the next training sessions. Strength training gives you great results as long as you stick to it and perform it regularly. The harder is to get started, but once you did it then be sure that in just 4-5 weeks the first results will be already visible.